The leaded glass panels for this project was commissioned for Target House for it’s extended stay house for people dealing with medical issues at St Judes Hospital in Memphis, TN. I was brought into this project by two designers from Target Commercial Interiors to develop the design for the leaded glass panels. The glass would be featured above a fireplace that was to being built as well. 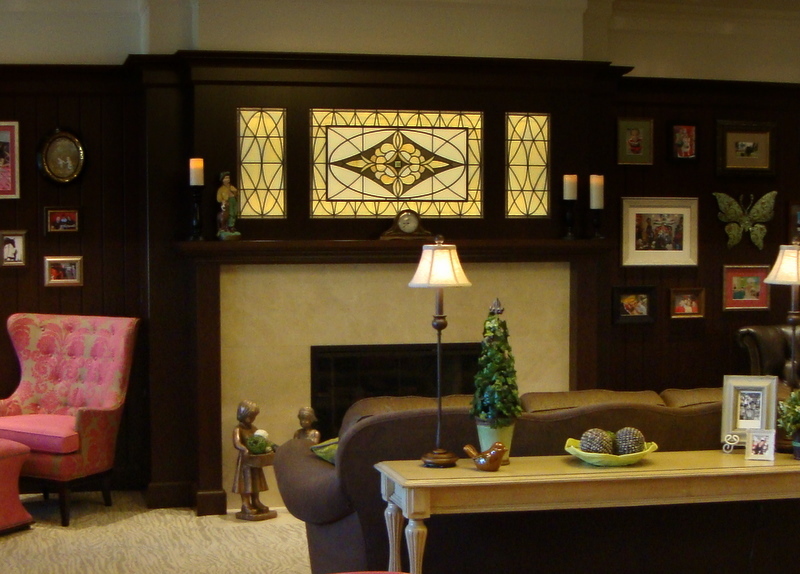 The goal of this project was to renovate an existing formal sitting room that was getting limited use and create a less formal decor with a fun “pub” like appeal to draw people into the space. I pulled some inspiration photos that I thought had the right feel for the space and then got approval to start drawing up some concepts. 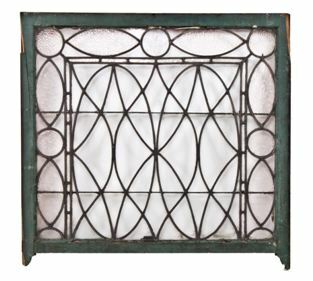 Another challenge for the leaded glass was the glass selection needed to cordinate with accent colors of pink and lime green that were being used in the space. As these colors would likely change at some point down the road it was agreeded to go with a neutral pallate for the leaded glass panels. The project was well received and the client was happy with the finished results.